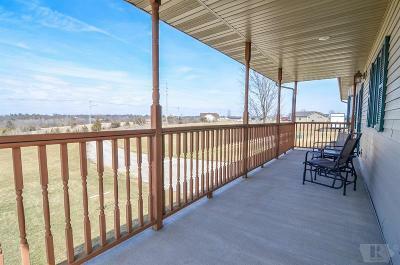 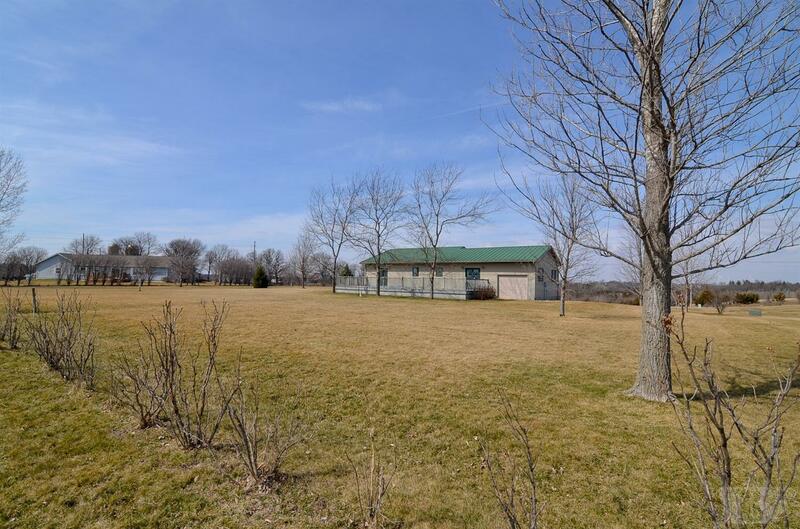 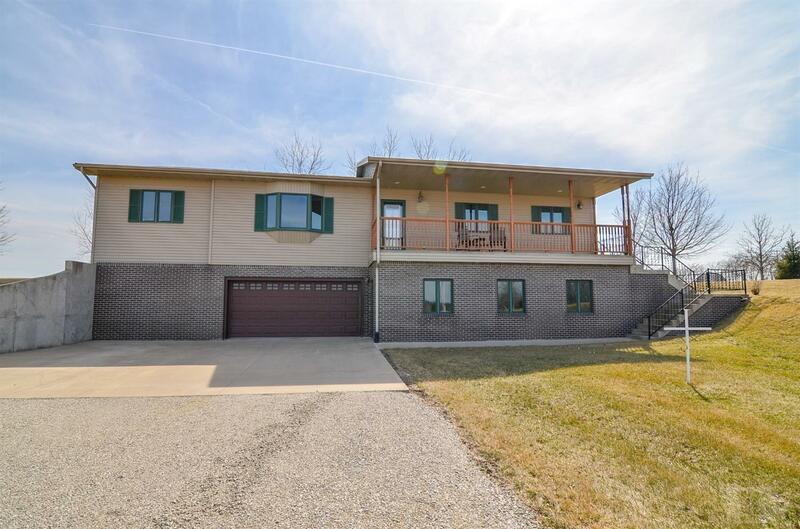 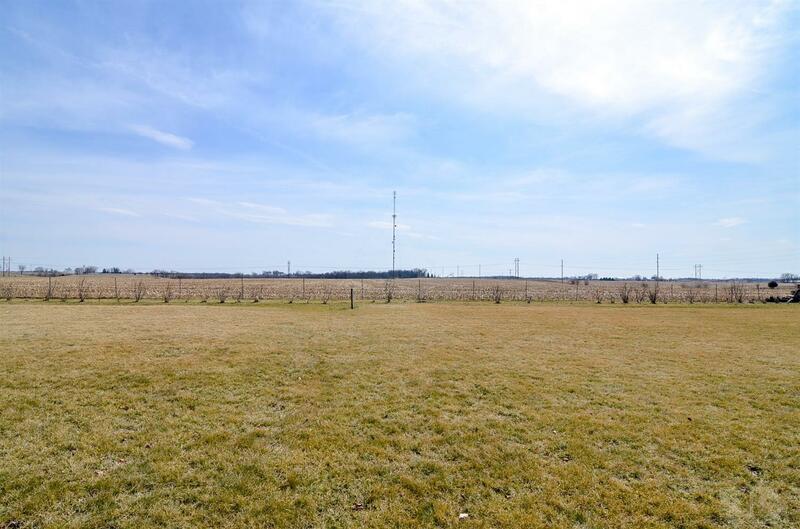 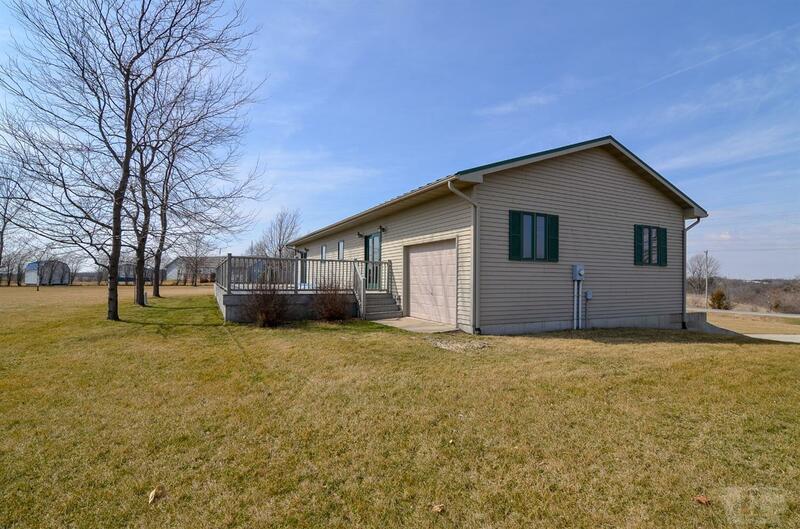 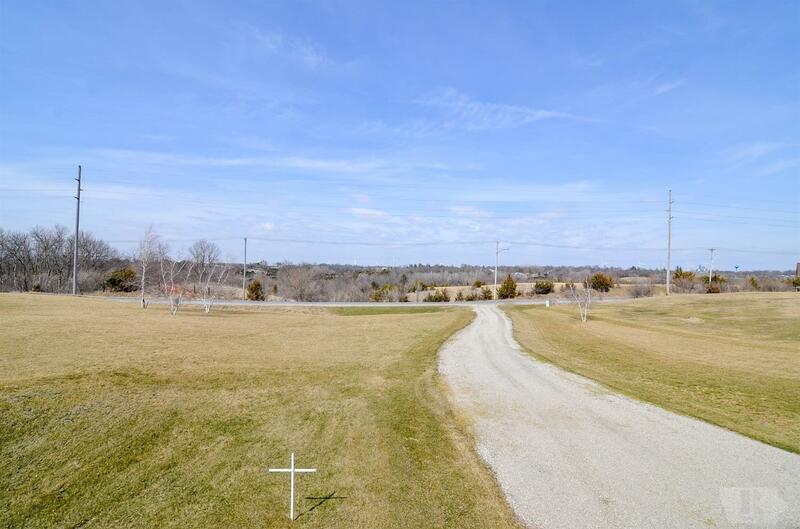 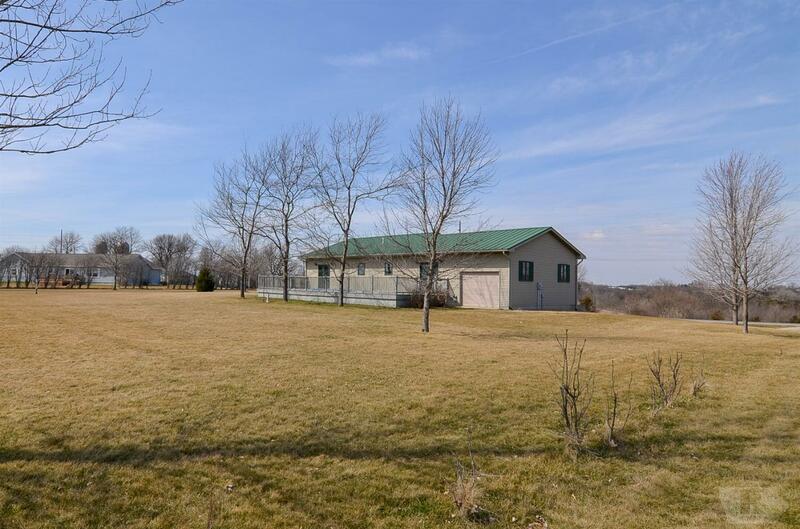 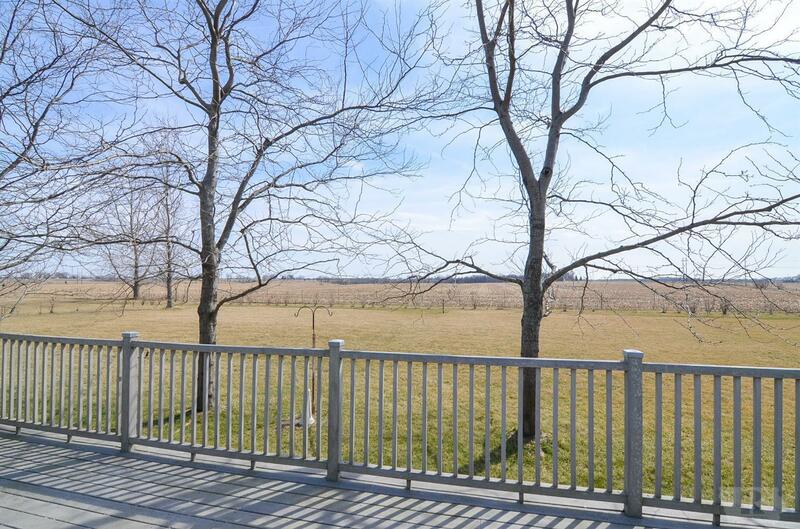 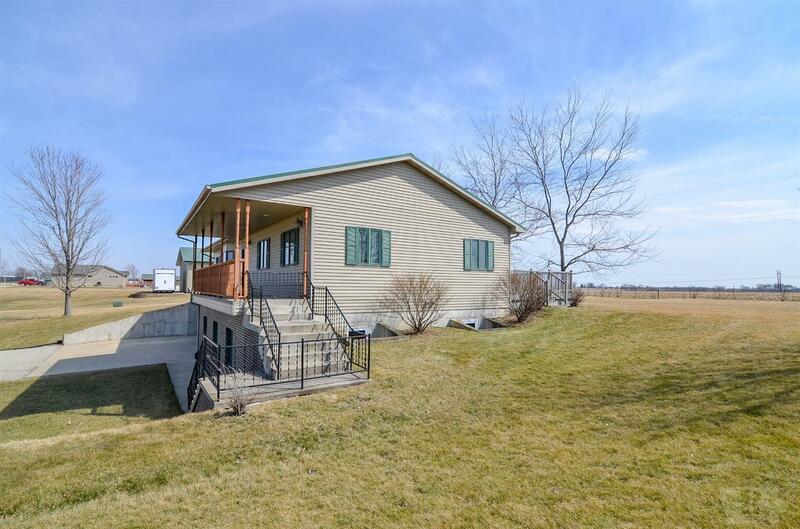 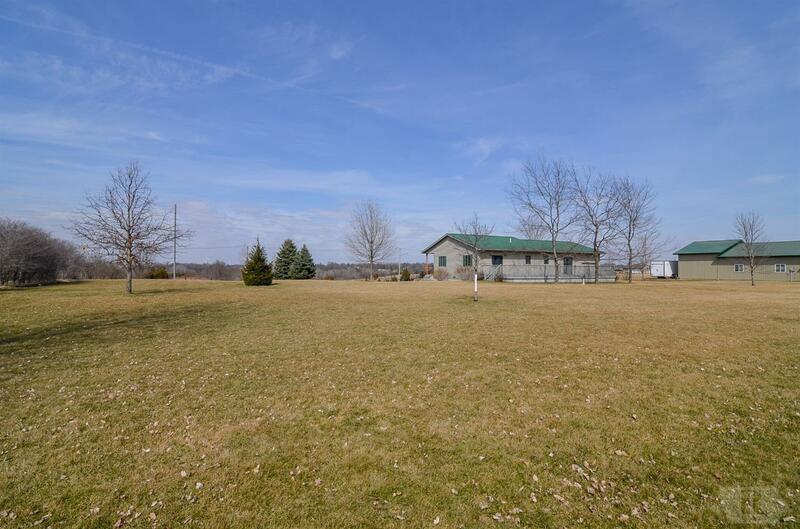 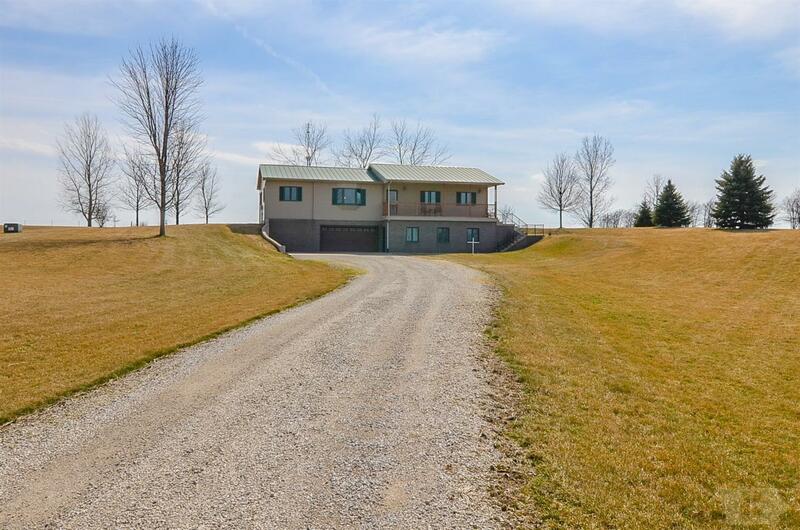 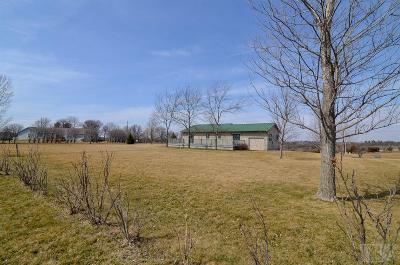 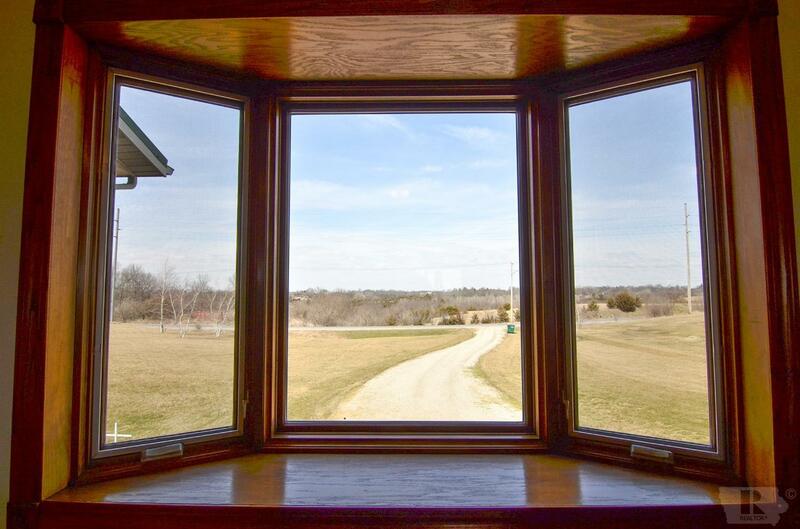 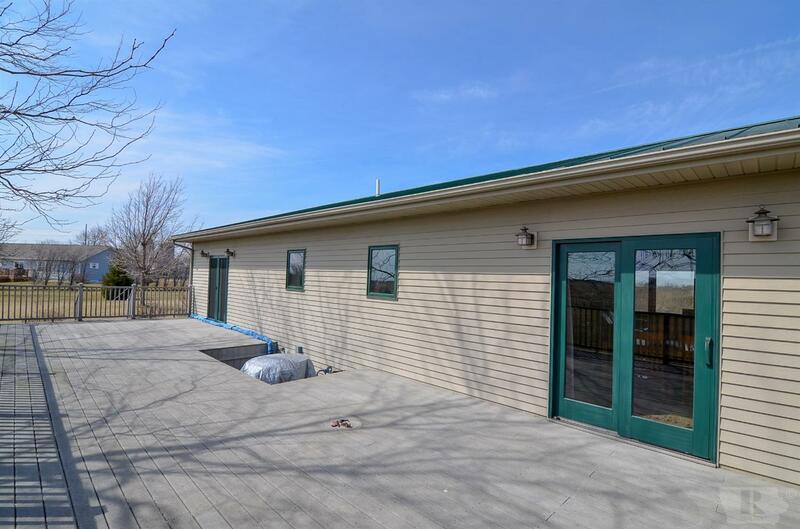 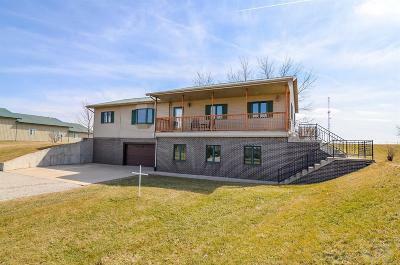 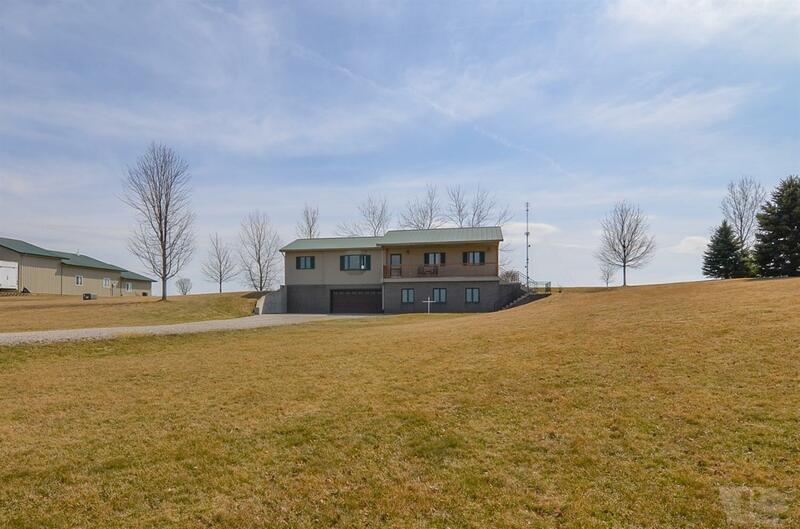 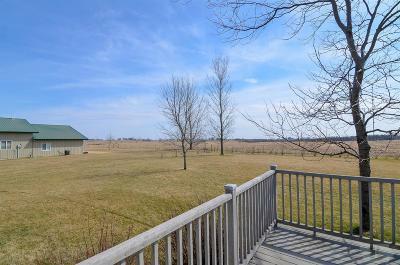 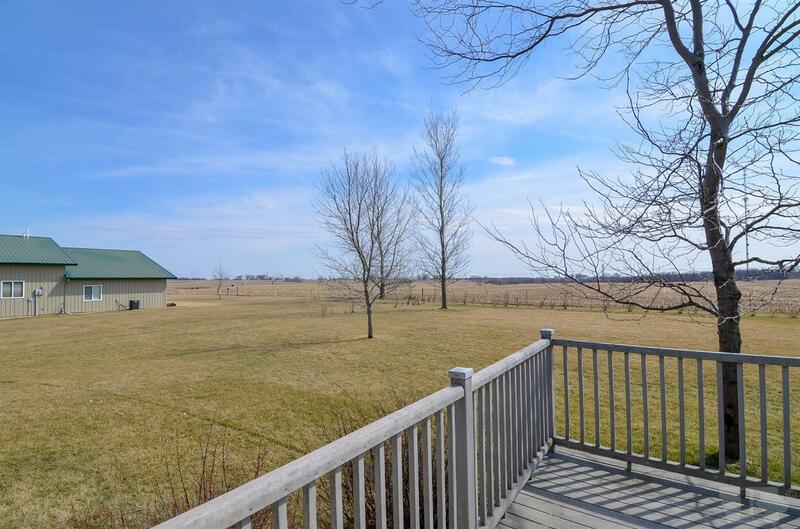 Two acres on outskirts of town with a pristine home offers gorgeous country views with the convenience of in-town living. 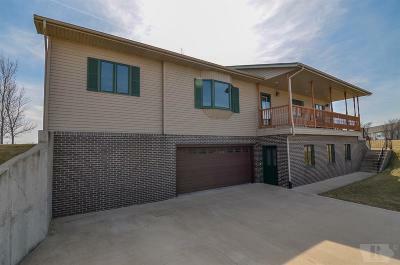 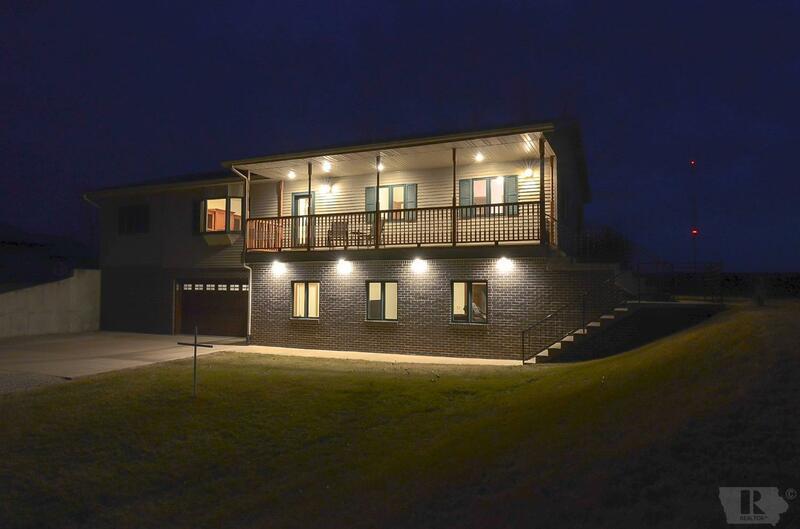 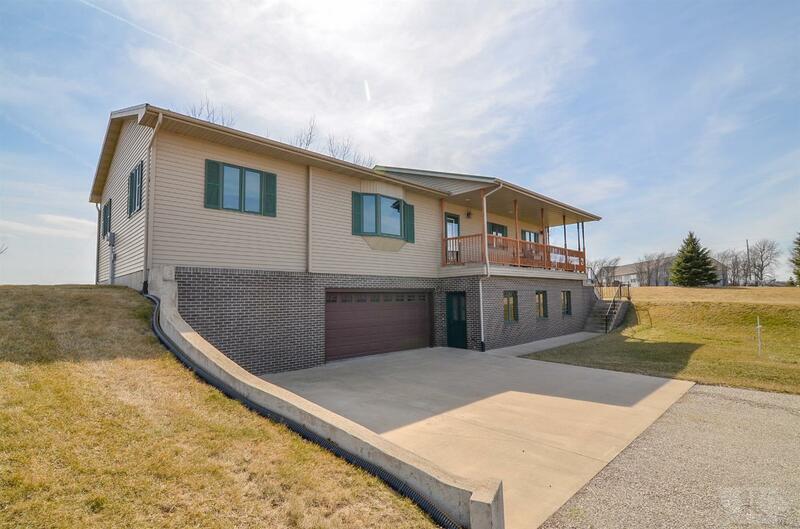 This newer home was built with quality in mind - granite kitchen countertops, hardwood floors on main level, marble tile floor in main bath, brick and steel siding exterior, huge 800 sq ft deck made of composite material, Pella casement windows, and Kinetico water softener/reverse osmosis filtration systems. 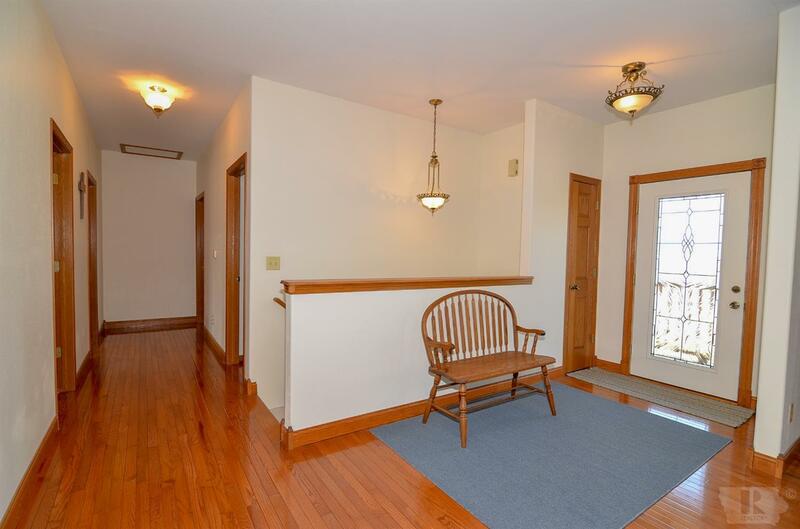 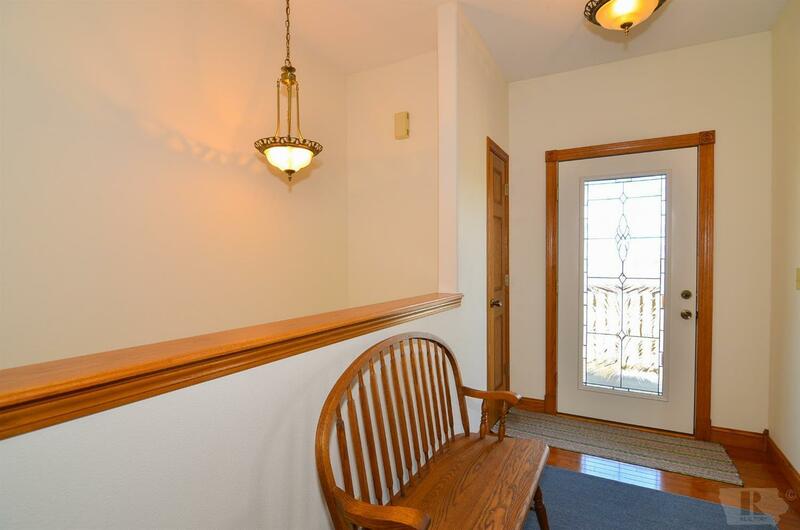 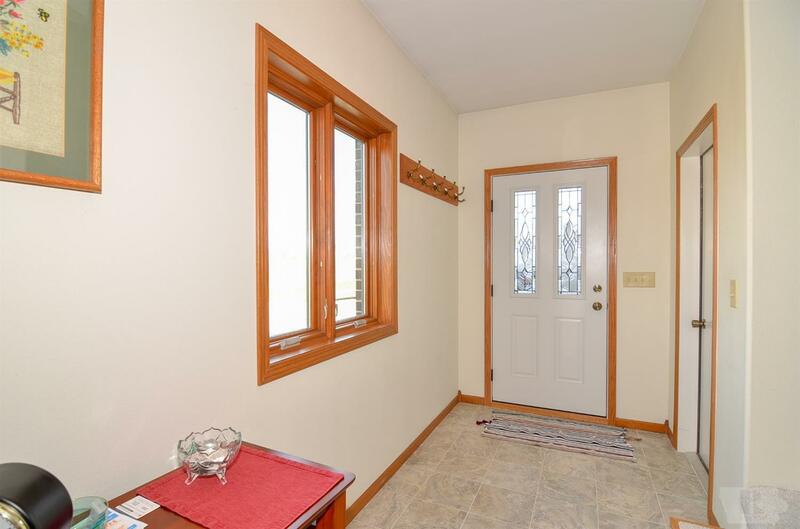 Enter through the finished lower level or large covered front porch with entry foyers. 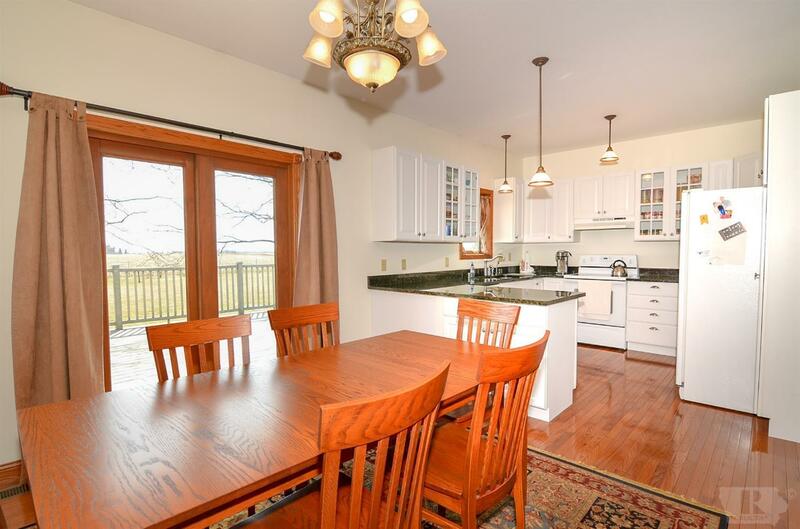 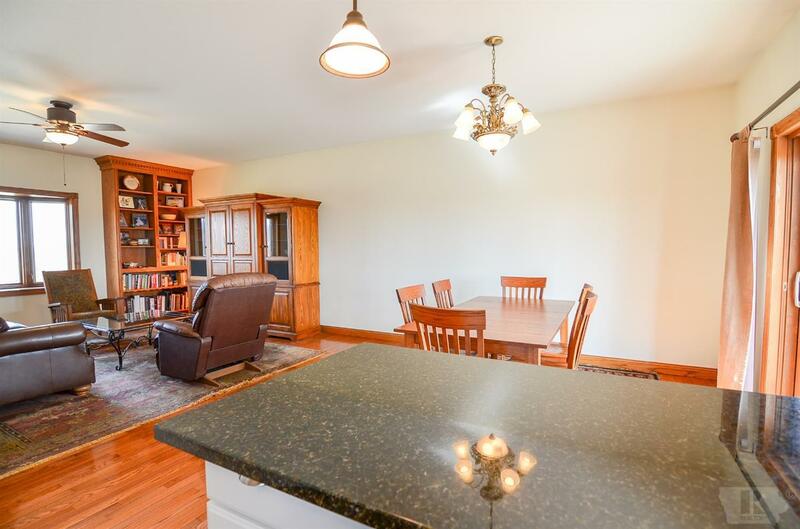 The open floor plan transitions nicely from living room to dining to kitchen. 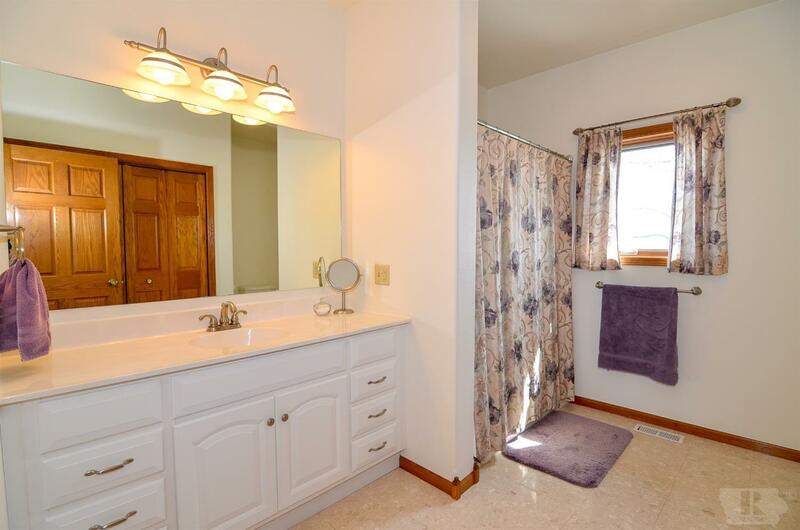 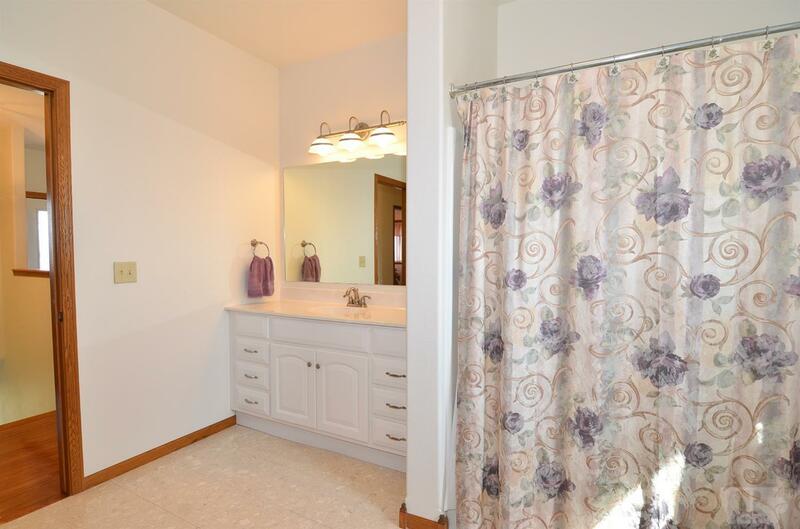 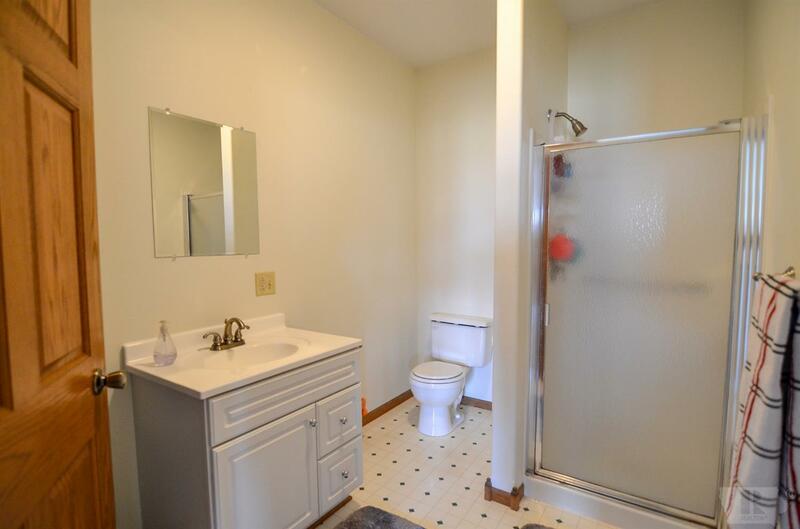 Large main floor bath (could have main floor laundry). 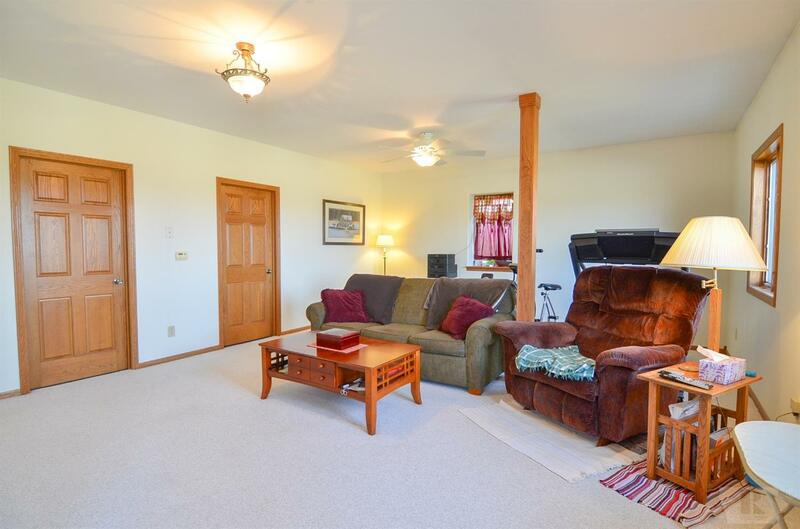 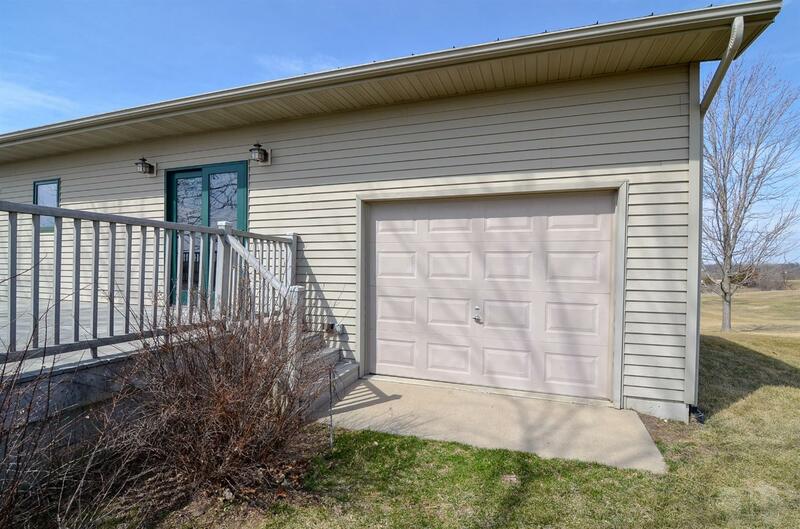 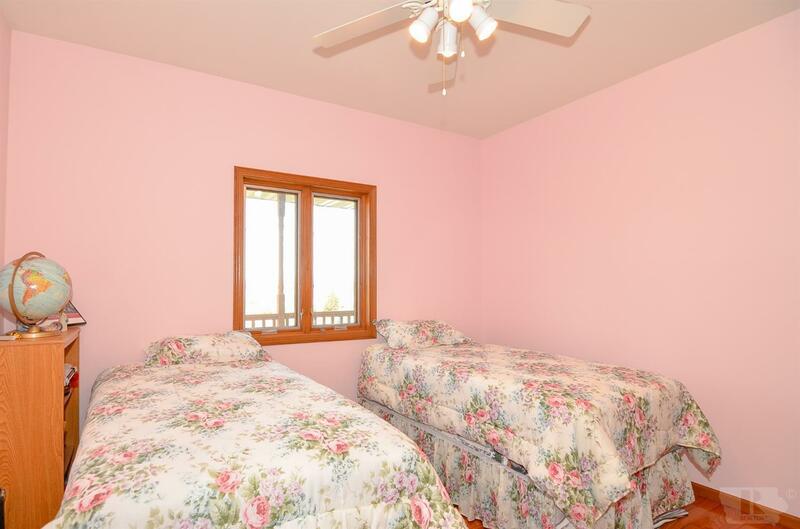 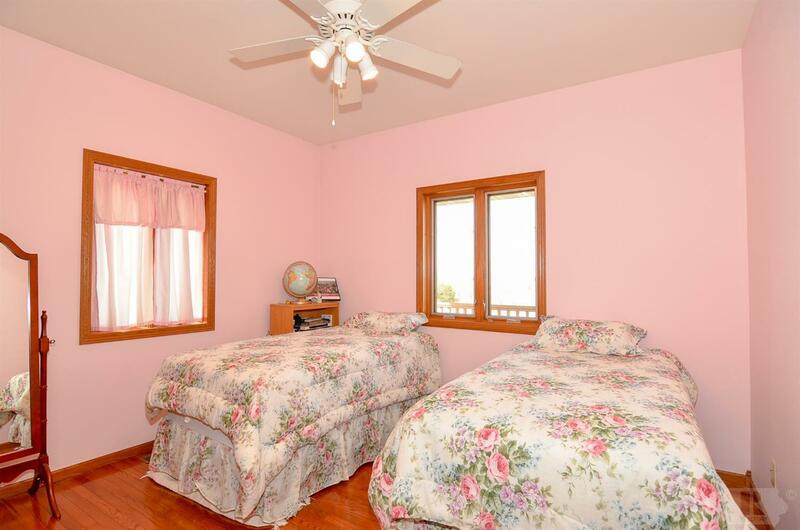 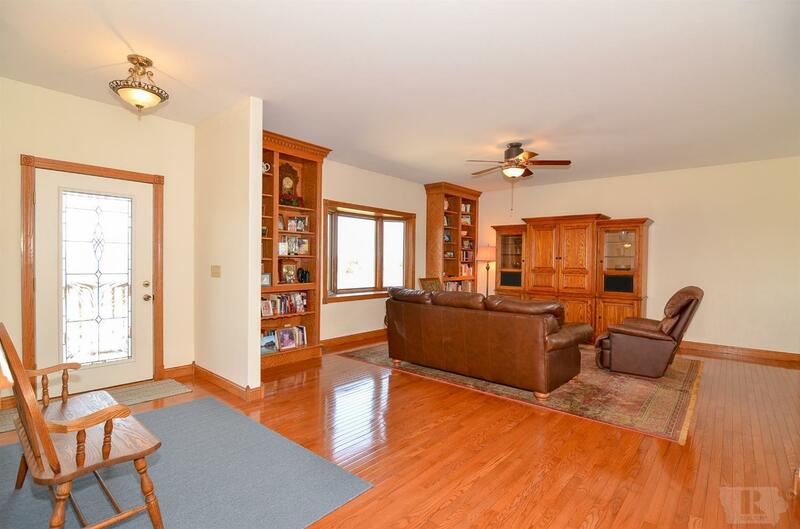 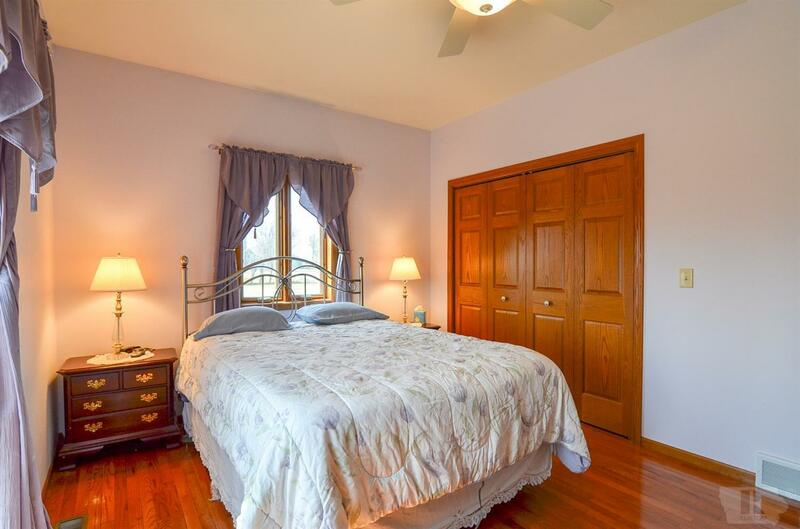 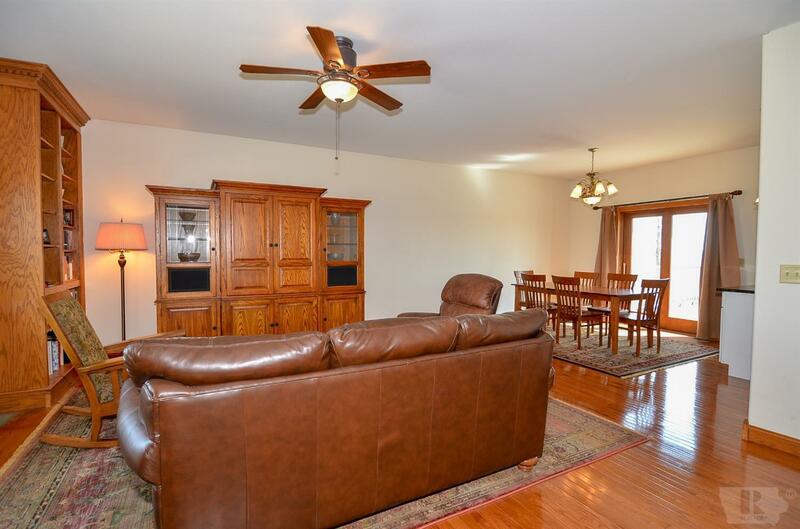 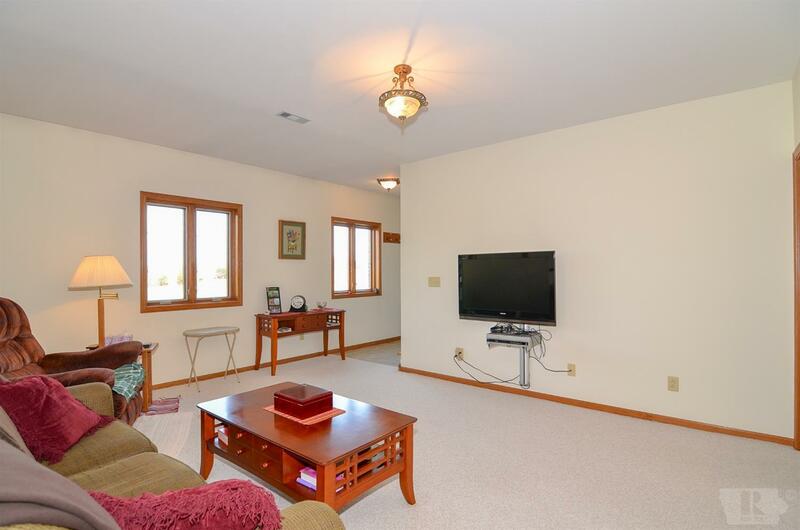 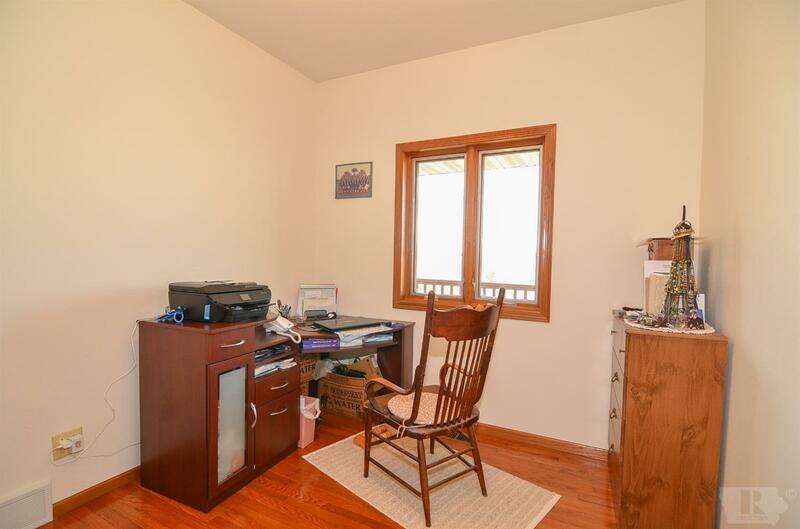 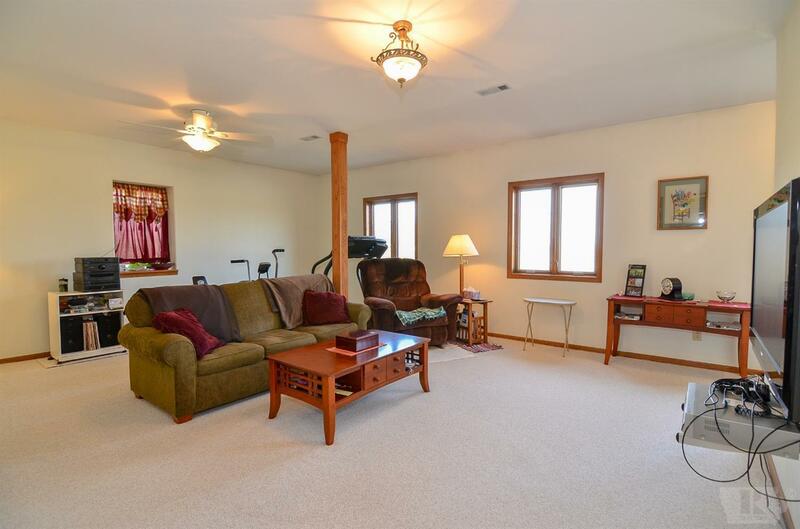 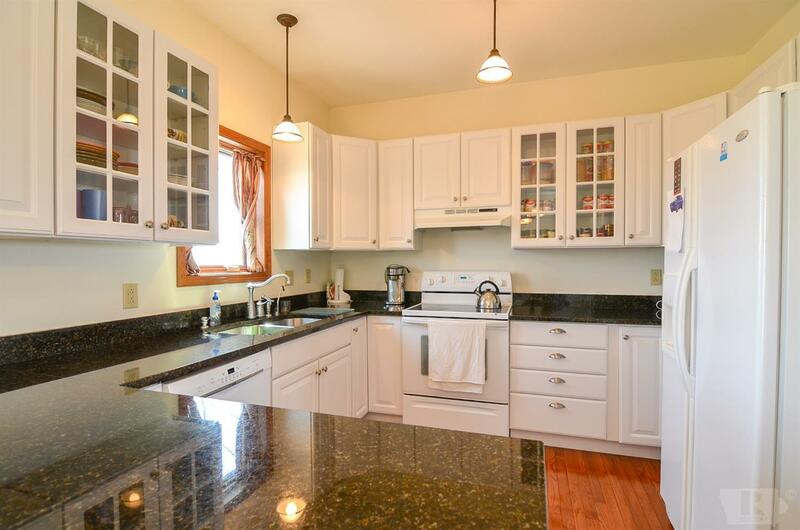 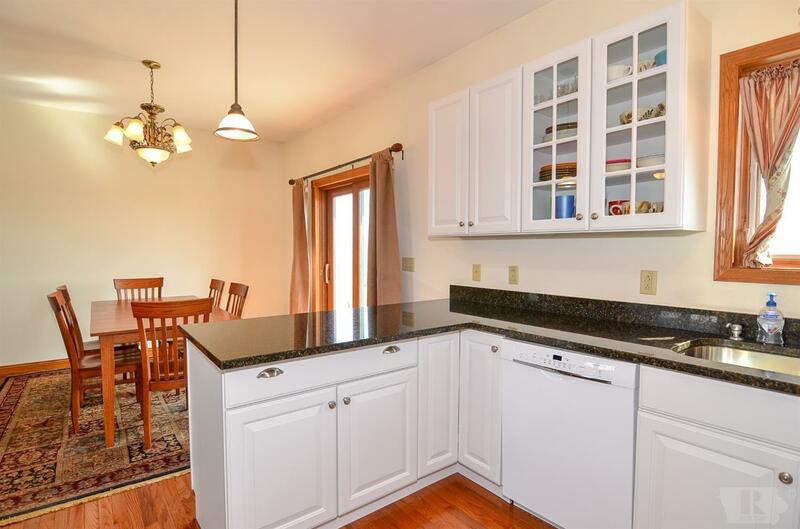 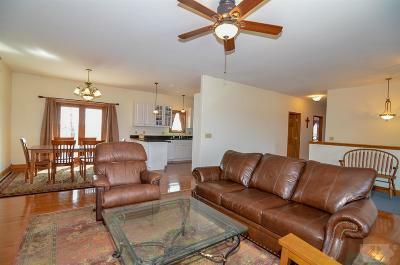 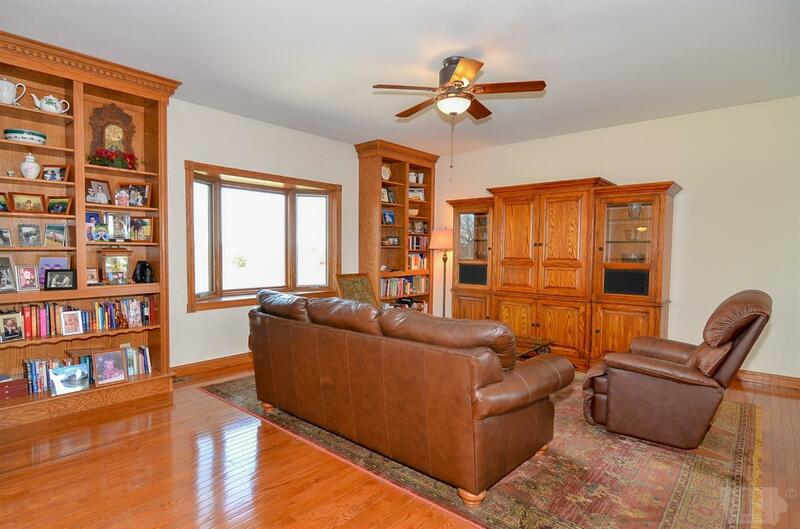 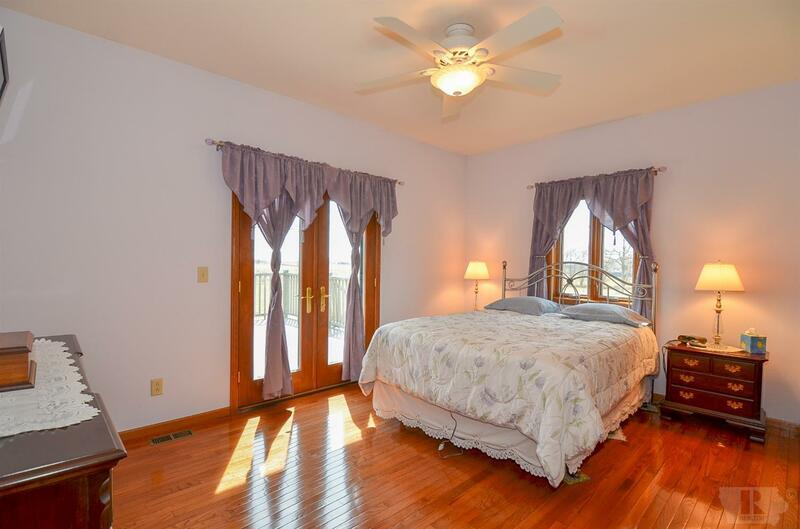 Spacious family room, fourth bedroom, 3/4 bath, and laundry in lower level provide additional living space for a growing family or to host guests. 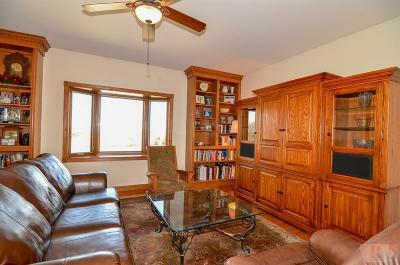 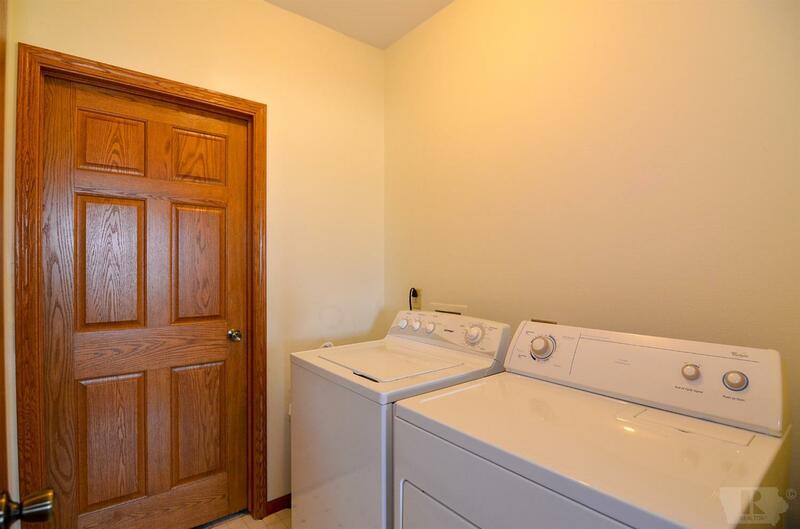 Other features are built-in bookcases, peninsula, double closets, two entrances from garage, and generator hook-up. 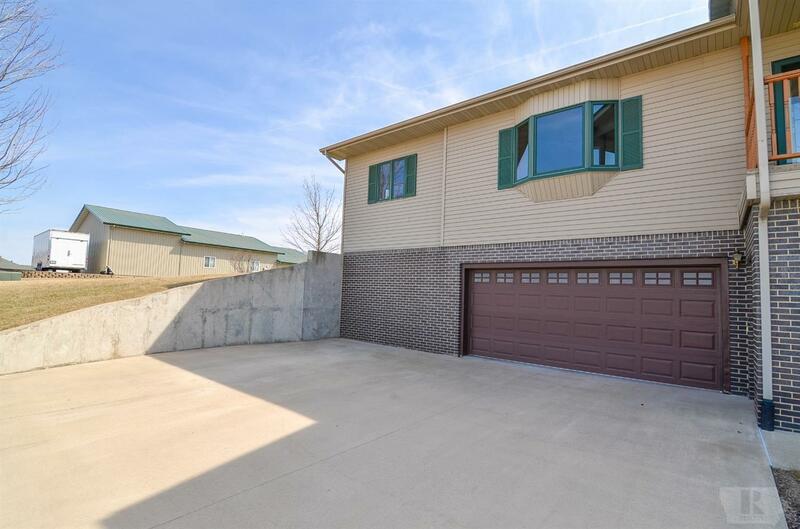 Two car attached garage with a third stall also attached at the rear of the home.